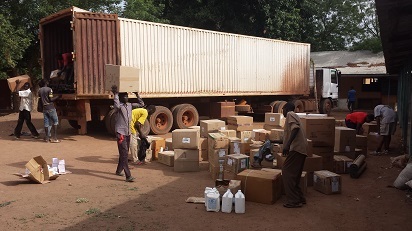 Every year, before the heavy rains start, we truck thousands of dollars of medicine from Kenya to South Sudan. This enables our clinic to stay open year-round and provide lifesaving medicine to pregnant mothers and children. Last year we saw over 40,000 patients and this year we expect the number to rise. During the rainy season from May to October, we see increased numbers of malaria patients sometimes over 300 in one day! It only costs $5 per patient to cover the running costs of our medical clinic, which includes year-round medicine supplies and staff. EVERY patient hears the gospel, and many receive Christ through our three full-time chaplains who offer counseling and prayer. God has called us and entrusted to us this amazing work for His Kingdom and His Glory. We know He owns it all and we’re the instruments He is using to accomplish wonderful things here in Tonj. When God directs us to share the needs of this ministry we take that responsibility seriously trusting the Spirit to stir hearts in response. As you pray for our ministry this month, please pray if this is an area the Lord is directing you to be involved in. We currently have 52% of our monthly needs met by fully invested financial partners. This is an opportunity for you to join us in furthering His Kingdom! This past year you have helped us establish CHE in three remote villages. Community Health Evangelism (CHE) is thriving and every week we are hearing testimony after testimony of lives being transformed through CHE. Our villages are currently working on getting their “Healthy Happy Home” certificates. Bobi homes are digging pit latrines which in turn will reduce the spread of diseases. 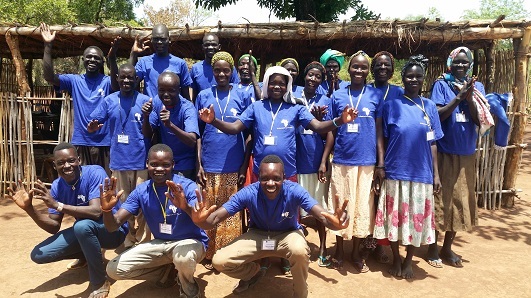 By supporting our CHE training you are saving lives in three remote villages in one of the poorest countries in the world. We believe CHE is working effectively because we have you, our amazing prayer partners, covering this program and we know that prayer changes lives. Hundreds of people are coming to know Jesus as their personal Savior. Churches have been planted and are growing dramatically. Household incomes have increased, death in young children has decreased. Instead of turning to witchcraft to solve their problems they are turning to Jesus. He is answering prayers for healing, protection, and provision. This is what CHE is about, focusing on preventing problems while growing in Spirit and Truth. Join us in praising God for the fruit of our CHE program! It’s so awesome to see the body of Christ working hand in hand to bring a new smile and more importantly a new hope to people born with a cleft lip. 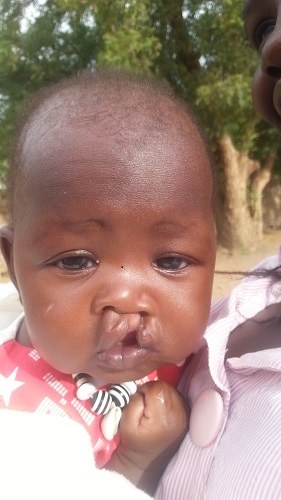 A volunteer medical team from Samaritan’s Purse notified us they would be in Juba repairing cleft lips in April and if we could register any patients that have a need, they would send an airplane to pick them up, do the surgery in Juba and drop them back to Tonj a few days later. This is the third time we have partnered with Samaritan’s Purse to transform lives through cleft lip surgery. Almost all people born with any kind of disfigurement in South Sudan are considered cursed, they are often shamed, shunned by their peers and abused. Over 20 patients were sent to Juba and treated. This is a new beginning for them physically, socially and spiritually as they return home with a new smile. 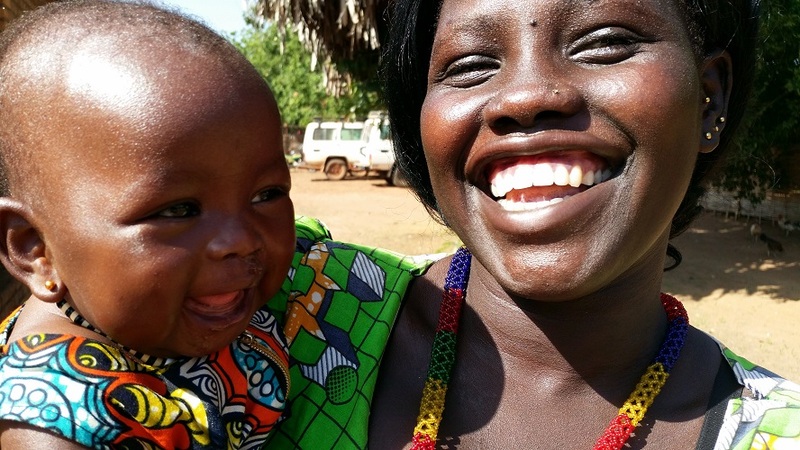 love, Love, LOVE the before and after picture of baby Akech!! and thanking Him who makes all things possible!!! We feel so honored to be a very small part of what He is doing through you in South Sudan!!! Please know you are always in our hearts and prayers!!!! Blessings and hugs to all of you!!! Wonderful how God provides! Beautiful smile! What joy unloading that truck would bring us. God allows the hard work of Sabet and Suzie and the IDAT team to do such great things for His glory. What a blessing it is to be a part of the IDAT team. May God continue to bless Sabet and Suzie and the entire IDAT tram. Oh this is wonderful! I love seeing our prayers answered. We are so thrilled that we are able to partner with you through IDAT! The Provision and Abundance that He is bringing to Tonj never stops. You will accomplish all you have set out to do and More. More, in Jesus name. Praise God! We’ll be praying for you and the ministries there tonight at our Missions Prayer Meeting (as always:)!